Raised to become Alpha of the Yafenack pack, Samuel Goodwin dedicates his life to studying shifter laws, strengthening his body, and learning from his father. Taking control comes easily to Samuel, but relating to people, including those he's supposed to lead, is a constant challenge. 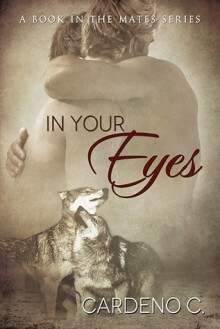 When Samuel meets Korban Keller, the son of a neighboring pack’s Alpha, he reacts with emotion instead of intellect for the first time in his life. Resenting the other shifter for putting him off-balance, Samuel first tries to intimidate Korban and then tries to avoid him. What he can’t do is forget Korban’s warm eyes, easy smile, and happy personality. When a battle between their fathers results in tragedy, Samuel and Korban are thrown together. With his world crashing down around him, Samuel must save his pack and show them he can lead. But first, Korban needs to save Samuel by inspiring him to feel. Two very different men with a tumultuous history must overcome challenges from all sides and see past the rules they’ve been taught to realize they are destined to fit together. Wonderful! I love how mating Korben brought Samuel out of his shell and allowed his missing compassion and empathy to come to the surface.